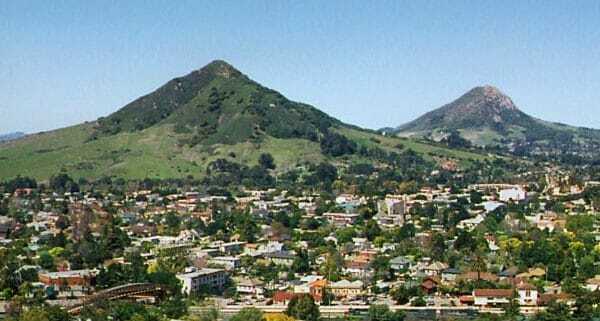 On Tuesday, September 18, the San Luis Obispo City Council voted 5-0 to continue developing a Community Choice Energy (CCE) program and directed staff to develop a climate action plan with a target of carbon neutrality by 2035. Since 2005, the City has reduced emissions by ten percent, with a goal of reducing by a total of fifteen percent by the year 2020. Governor Jerry Brown recently announced a similar goal statewide, with an executive order that commits California to carbon neutrality by 2045. Council also adopted a resolution to create a Joint Powers Agency that establishes “Central Coast Community Energy” on behalf of San Luis Obispo in partnership with Morro Bay to operate the CCE program that would allow participating cities to pool the electricity demand of their communities to become the primary electricity provider, leading to fewer greenhouse gas emissions and additional investments in local renewable energy projects and energy programs. Existing CCE programs throughout California have been able to deliver these benefits at or below existing electricity rates. The program will purchase cleaner electricity, which will be delivered by PG&E through the existing electricity grid and associated infrastructure. Upon program launch in 2020, customers will continue to receive a single PG&E bill that includes the CCE’s generation rates. At a meeting earlier this month, Council reviewed the draft technical study evaluating multiple power supply scenarios and concluded under base-case market and regulatory conditions, a regional CCE program would be financially feasible and would lead to cleaner electricity. The implementation of a CCE program will provide an opportunity for more locally generated and controlled renewable resources, such as solar and wind, while also providing resources to develop and implement energy programs that could lower local energy bills, reduce greenhouse gas emissions, and support local contractors. The San Luis Obispo City Council agreed to pursue a CCE program last December, in a process stemming from studies and discussions that began in 2013. In 2017, the Council adopted climate action as a major city goal, with direction to assess the requirements of becoming a net-zero carbon city. More information about Community Choice Energy can be found at http://www.slocity.org/cce.